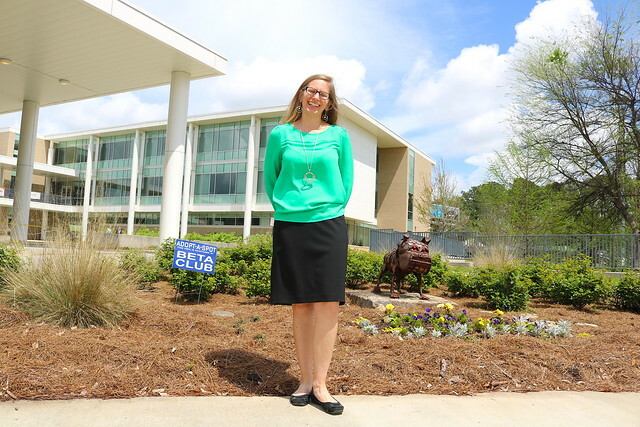 In 1996, she arrived at DeKalb County School District (DCSD) as a student teacher in college. In 1997, she began teaching at Chamblee Charter High School—one of the best educational institutions in the state of Georgia. While there, she has impacted students’ lives one conversation at a time as a social studies teacher, coach, department chair, and assistant principal. Little did she know she would eventually become school principal. Chamblee Charter High School announced the promotion of Gail Barnes from assistant principal to principal in March 2019. The announcement celebrates an educator whose mission of bettering the lives of students has not wavered for more than 20 years. Chamblee Charter High currently ranks no. 457 nationally, no. 14 in Georgia, and no. 116 in charter high schools, according to US News & World Report. 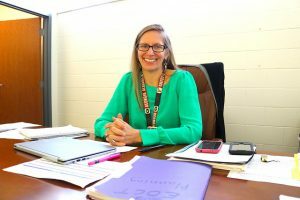 Barnes sees this as evidence that Chamblee’s priorities are dedicated to student success, and hopes to carry on that tradition as the school’s leader. Barnes loves Chamblee Charter High’s diverse school culture. She notes that the campus has an overall atmosphere of genuine focus, with a palpable common goal of success. Barnes hopes to use that commonality to transform Chamblee Charter into a unified neighborhood school. As a career educator, Barnes knows that many teachers are asked to do it all—educate, mediate, mentor, and provide emotional support. She plans to help teachers manage that workload through collaboration and sharing some of that workload. When she first arrived at Chamblee Charter High fresh out of college, Barnes found teaching there to be overwhelming. 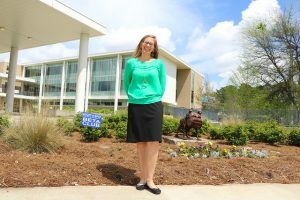 She divided her time between teaching at Chamblee and Towers High School in four different courses. Still, the leadership and overall school environments at both schools reassured her she was at the right place. “I had great mentorship and great leadership, which made all the difference,” Barnes said. Barnes originally became interested in education her senior year of high school. Her high school allowed seniors to explore a career path in the field for one month, and Barnes happened to choose education. For an entire month, she helped teach ninth-grade physical science at her own school. For Barnes, being an educator is all about building relationships with students and steering them in the right direction. Seeing student growth in academics, confidence, and comprehension year in, year out is what has kept her in the field. Her passions align with providing ample opportunities and recognizing potential.